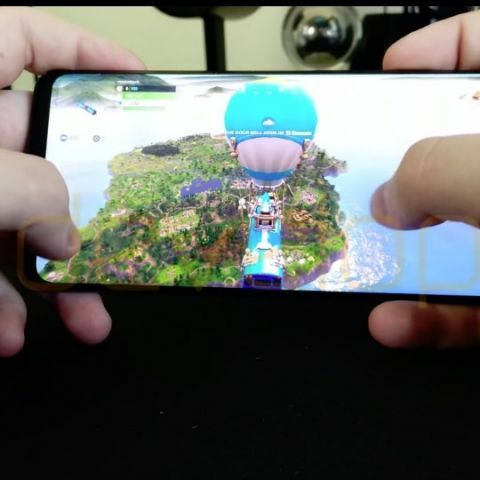 Leaks regarding Fornite Battle Royale on Android are almost as prevalent as those about the Samsung Galaxy Note 9. The latest leak is from the guys over at XDA Developers who have managed to get the game to run on a Samsung Galaxy S9+. The website notes that even though it obtained exclusive access to Fortnite Mobile on Android installer APK, the phone was blocked from playing the game. However, through some tinkering, they were able to bypass the game’s authentication requirements. To recall, the game is expected to launch on Android, alongside the Samsung Galaxy Note 9 today. It is expected to be an exclusive for Samsung Galaxy devices for about three months after launch. In its report, XDA Developers notes that the game played on “Epic” graphics quality, by using the Samsung Game Tuner, they were able to improve the game’s resolution and performance even more. It was further noted that the Samsung Galaxy S9 as well as the Galaxy Note 9 should be able to play the game on “Epic” difficulty thanks to Vulkan API. The website also tried to install the game on a rooted OnePlus 6. However, they were faced with a pop-up which said that the game cannot be run on rooted devices. However, XDA Developers did manage to run it on the Essential Phone and the Google Pixel 2 XL, both of which were rooted. The developer of Fortnite Battle Royale, Epic Games has said that the game will not be available on the Google Play store, and gamers will have to install it directly from their website. Company CEO, Tim Sweeney said that if it hosts the game on the Google Play store, a 30 percent store tax is levied on the game. He said that this was disproportionate split of the earnings seeing as Google has little to do with creating and maintenance of the game. According to reports, the game will initially be supported on 40 devices. In related news, Twitter user @MystxcLeaks searched the code for the game and came across references to items called ‘PAX 2018 gift’ and ‘Gamescom 2018 gift’. It’s possible that these relate to certain items that will be unlocked upon entering a code, that might be available by visiting the Epic Games booth during both the respective events. Epic games is expected to launch the game during the unveiling of the Samsung Galaxy Note 9. You can check out details about the event here. best multipayer game on android?